I Don’t Just Consult on Indispensable Marketing … I’m Building My Company With It! Since 2010, Patrick has been teaching people how to take the alternative path. This started off by coaching professionals on the different work models that are available today. In 2012 that transitioned to coaching/consulting independent professionals and business owners on alternative solutions for marketing their business. Not with average, out-dated or confusing marketing consultant speak. With creative ideas, and real-world marketing strategies that increase sales, leads, and grows your business. Indispensable Marketing is an education-forward, innovative and strategic consulting firm that provides results-getting marketing advice and solutions geared specifically towards small and medium size businesses. Our education-forward approach is demonstrated by giving our prospective clients and customers access to our blog, teleseminars, indispensable-view reports, knowledge hub and newsletters that showcase powerful business ideas and insights. 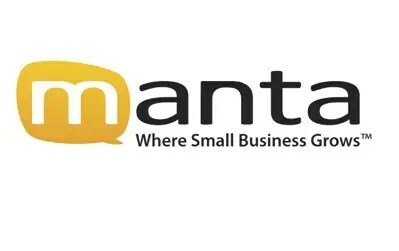 We’re also named by Manta.com as a “Company You Want to Follow” and were hand-selected as a company to help grow your business. At Indispensable Marketing we’re passionate about educating our clients, bringing creative and innovative ideas, and offering marketing solutions that grow businesses. Our mission has never changed: We’ll help you turn marketing challenges into opportunities to reach your business goals. Today, Indispensable Marketing brings you 2-5 articles a week about how to think differently about marketing your small to midsize business. It’s not (just) about Marketing Online. It’s not (just) about Facebook, LinkedIn, or Twitter. It’s not (just) about Marketing Tactics. Today, it’s always a bigger picture. You need to understand all the facets of SMB marketing, and we cover that, daily … for free. Meet Patrick McFadden, a marketing consultant specializing in strategically developing lead and sale marketing solutions, ideas and strategies for smarter SMB marketing. Don’t be fooled by Patrick’s strategic nature, he’s very creative in noticing how marketing principles connect and can apply to modern day marketing, and then helping businesses make that leap and transformation into marketing success. He is also an advisor and featured marketing contributor to American Express Open Forum and has been named a marketing thought leader for small businesses. Greater Richmond Small Business Development Center & more…. Here you will find highlights of where Patrick has been seen and heard recently, and where he “appears” regularly. Hi Patrick, Love, love, love your message. Thoughtful, informed, and insightful. Looking forward to digging into the archieves as well as reading your future posts. Thanks, too, for following The Death of Online Dating. You’ve set a high standard for me to chase! Great blog,please let us know if you need help designing it. We will gladly help. Thanks for stopping by my blog today. I look forward to reading more of your posts. Me, too — thanks for liking my post about where to find clients! Looking forward to reading your take on it. My pleasure! And let me know about the content I’m presenting.